Whatever your personal feelings about the casting of Ben Affleck as Batman/Bruce Wayne in director Zack Snyder's Man of Steel sequel (which we're referring to as Batman vs. Superman), it's undeniable that the casting is the latest milestone in what is one of the greatest comeback stories in Hollywood history. The announcement seemed to come out of nowhere. Like many others, we offered our own take on who could play an older, more seasoned Batman, and Ben Affleck's name never came up. As a result of the news, The Internet had - is still having? - something of a nervous breakdown, but we think that casting Affleck in the role could actually be a good idea. Still, how did this all happen without the news leaking ahead of time, as per usual? THR breaks down the behind-the-scenes machinations which made this revelation possible. Talks apparently began earlier this year, before the release of Man of Steel. Ideas for the follow-up were already in place when Zack Snyder reached out to Ben Affleck in an attempt to gauge his interest in the project. No one seems to know exactly when the official talks began, but the studio had also approached other stars like Josh Brolin and Ryan Gosling. Affleck's representatives at WME and law firm Ziffren Brittenham began negotiations, which are reported as being so secretive that a lot of executives at WME and Warners were kept in the dark for the duration. It has also been reported that Affleck has signed on for multiple pictures. Considered "dead" in Hollywood after starring in notorious flop Gigli, Affleck reinvented himself by co-writing and directing the impressive 2007 adaptation of Mystic River author Dennis Lehane's hard-nosed private eye novel, Gone Baby Gone. He followed that up by once again directing and this time starring in the similarly Boston-set crime drama The Town. Then, his 2013 film Argo - about the CIA's attempt to smuggle a group of diplomats out of Iran in 1980 - awarded him the Best Picture Oscar. Casting Ben Affleck as Batman not only secures his place at Warner Bros., but it's also a clear signal of their faith in Affleck as a star and director. In an attempt to launch their own DC Cinematic Universe, Warner Bros. announced that the Man of Steel sequel would in fact be a Batman/Superman movie, and would not only see the two most iconic comic book characters (finally) go eyeball to eyeball on the big screen, but would introduce the world to a new Batman, as well. 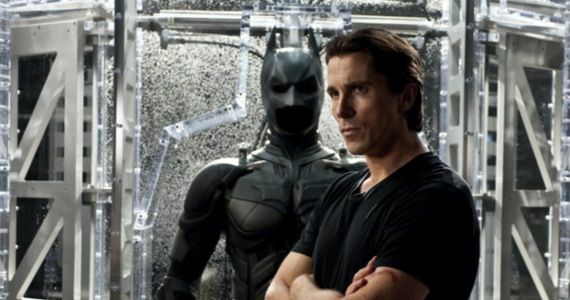 Many fans held out hope that Nolan and Bale could be enticed to return, but both were adamant that their involvement in the franchise was over - Nolan's trilogy would be self-contained. This left a whole lot of open questions and potential problems. The new Superman, Henry Cavill, was relatively unknown to audiences at large, and although he acquitted himself admirably and will remain in the role of the Big Blue Boy Scout for the foreseeable future, he did not have to carry Man of Steel on his own. Warner Bros. surrounded Cavill with famous faces: Kevin Costner, Russell Crowe, Amy Adams, Laurence Fishburne... even Michael Shannon was more familiar to some American audiences. With (SPOILER ALERT!) the characters portrayed by Crowe, Costner and Shannon all dead by the end of Man of Steel, Cavill needed some help in the star status department for the sequel. The world may have expected another up-and-coming actor to play the rebooted universe's Bruce Wayne/Batman, but Warner Bros. wanted someone a little more "known." As THR points out, Nolan is leaving the DC Cinematic Universe in Zack Snyder's hands, and having Affleck on board - by now a seasoned and highly respected creative force behind the camera - will at the very least instill enough confidence in typically skittish studio execs to allow Snyder and Affleck the freedom to put their own stamp on the character. Affleck was once in talks to helm Justice League, so this also potentially sets him up as the director of DC's own Superhero All-Star Jam if Batman Vs. Superman pans out. Then there's the penultimate reason Ben Affleck agreed to do this. As stated by THR: "Because it’s considered a sequel to Man of Steel and not a Batman movie, any potential underperformance issues won't ultimately land on his shoulders." While Man of Steel wasn't Warner Bros.' biggest box office success ever, it has made $649 million worldwide, and that's enough to make it successful. With the shock of Affleck's casting not likely to wear off for awhile - and with the accelerated release date of summer of 2015 - the conventional wisdom is that everyone is going to see the sequel. Affleck can be in a tentpole without having that tentpole staked through his heart, so he's not really taking the biggest risk here. There is the question of how this will affect his directing career - he's signed on to direct Live by Night for the studio for a 2014 release, presumably after he stars in Gone Girl for David Fincher, and it appears that Batman Vs. Superman will shoot during the Live by Night window. I expect the studio to accommodate their star (within reason). The announcement is still ringing in our ears, as are the indignant howls of many upset fans. It should be noted that the same negative response was seen in the wake of Michael Keaton's being cast in the role and Heath Ledger being cast as The Joker (of course, Ledger went on to steal the film and win a posthumous Oscar). Will Affleck draw on his only other superhero role, as Daredevil? That film was roundly panned by critics and fans, but as many have pointed out, it's not really Affleck who was the problem. Batfleck image courtesy of SR reader Kirk Kelso. This Batman/Superman face-off requires someone who can pull off both sides of the Bat: the charming ladies' man billionaire and the troubled, violent vigilante; hopefully, we can finally see some actual detective work, too. Affleck has already proven he can hold the screen as a charmer with problems and his role as a scandal-ridden congressman in State of Play proves that he excels at playing men in a position of power. He was suitably intense in Daredevil and can certainly handle the physical side of things. The actor himself has yet to publicly comment (and he probably won't until the fury dies down), but expect more news on his approach to the character in the weeks to come. Batman vs. Superman will be released on July 15, 2015.